The OLPH Ladies of Charity are accustomed to providing lunch for the men at the homeless shelter every other month. However, after receiving substantial donations from the Knights of St. John International St. Paul Commandery #286 and the Junior Ladies Auxiliary #67 for their outstanding work done for the poor of the community, the OLPH Ladies of Charity decided to use the funds to purchase new work boots for the men at the 801 East Men’s Shelter located on the grounds of St. Elizabeth’s Hospital in the Ward 8 section of Washington, DC. 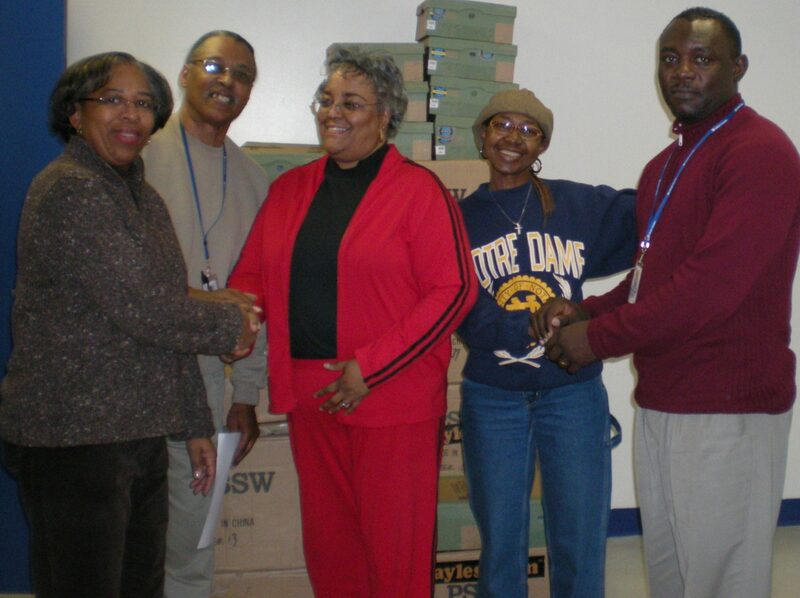 The ladies asked the staff of the shelter to assist them by gathering the shoe sizes of the men at the shelter. The OLPH Ladies of Charity were able to provide 189 pairs of brand new work boots for the men at the shelter. The men were happy, grateful and overwhelmed upon receiving their very own new boots. Thanks to Dallas Lewis, Gloria Lessington and Toni Gaines for coordinating the boot project. The following photos show Gloria and Toni at the shelter taking inventory of the shipment and sorting the boots by size along with members of the shelter staff.